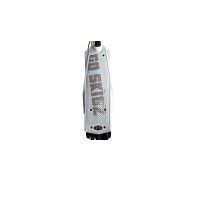 Go Skitz 1.0 Electric Scooter Battery 12V4.5Ah ..
Go Skitz 1.0 & 2.0 Electric Scooter Replacement Charger .. This Go Skitz deck is a replacement deck for the Go Skitz 1.0 electric scooters. .. This Go Skitz deck is a replacement for the Go Skitz 1.0 electric scooters. ..
Rear left drum brakes 60 brake Φ8 / center distance 92 ..
Throttle24V/L1200 both ends Φ41 ..
Go Skitz 2.0 Battery 12V 7.5 Ah By GMX .. This control box is suitable for the Go Skitz 2.0 Electric Scooter ..
Go Skitz 1.0 HTD 384 3M 12 Electric Scooter Belt .. This Go Skitz deck is a replacement deck for the Go Skitz 1.0 electric scooters .. Brake lever (left) Brake power line length 1150 ..